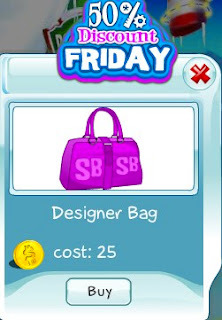 Today's 50% Discount Friday item is the Designer Bag. Girls, this bag is a great accessory for any of your SecretBuilders outfits. The bag features the SB logo on it. This offer is valid today only, so act quickly.